If you’re flying from Stansted Airport and travelling by car, you’ll now be facing the search for Stansted airport parking. Good news...your search is over. Whether you’re looking for a bargain or you need a super fast arrival to the airport, APH have done the legwork for you and found the best deals on Park & Ride services, Meet & Greet deals and Official Stansted car parks. *Based on 1 weeks parking in the official Long-Stay car park. So, let’s not waste any more time. Use our search facility above to check availability for your specific travel dates or take a look at our comprehensive Stansted airport guide below. It includes cheap Stansted parking, terminal parking, Short stay information and how to save even more money by booking a Stansted hotel and parking package. Below is a list of our Stansted parking products. We’ve grouped them into one simple table to make your search even easier. With so many Stansted car parks to choose from, we understand that your decision can be a difficult one. Below is a handy map to show exactly where our car parks are located. It’s always important to know what other customers think. We have a reviews section so you can read first hand what our customer love about our services, as well as that, we’ve included a list of our most booked car parks at Stansted. We may be the experts but who better than to tell you about our products than our customers themselves. Below is list of the reviews we have received for our Stansted airport parking. Everybody likes to save money when it comes to Stansted parking, especially as holidays themselves can be so costly. APH are here to help. When booked in advance with APH, your airport parking doesn’t have to cost the earth. We believe in passing our savings onto our customers, making sure you get the best and cheapest Stansted parking. We have all the information you need to find the cheapest Stansted airport parking deals. But before we carry on we want to put your mind at rest; when you book cheap airport parking at Stansted it doesn’t mean you will be booking a less-satisfactory product. Our customers’ cars and giving them peace-of-mind is our top priority. All of our Stansted car parks are serviced by trusted, reputable companies and each of them have been awarded the Park Mark award for security. One of the best ways to find a cheap car park at Stansted is by booking in advance. It’s very easy to leave your airport parking to the last minute. To get the best deals on your parking we recommend booking as soon as your holiday is confirmed. This has a number of advantages, not only are the prices with APH cheaper when you book in advance, but also the availability will be greater. When you book in advance you can look to save over 50% off the on the day price. The earlier you book the cheaper your parking at Stansted is likely to be. 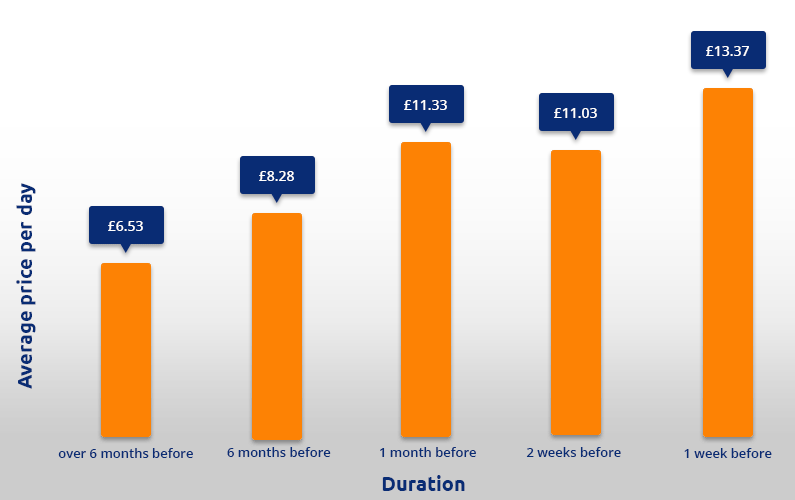 Take a look at this graph to show just how much you can save. Another great way of making your Stansted parking cheap is to keep an eye out for our non-flexible deals. If you have booked your holiday and you’re certain (or as certain as you can be) that your plans won’t change, our non-amendable prices will be cheaper than the flexible offers. 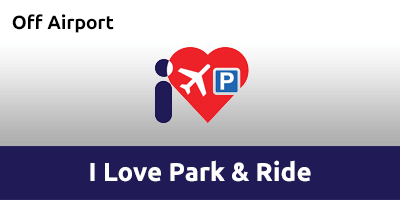 If you’re happy to hop on a transfer bus and make a short journey from the car park to the terminal at Stansted, then Park & Ride is for you. More often than not, our Park & Ride services are the cheapest options. The services are prompt and efficient and the car parks are safe and secure with security features such as perimeter fences, CCTV and 24-hour patrols. Below is a list of APH’s cheapest car parks at Stansted. If you’re looking for cheap airport parking at Stansted that doesn’t compromise on service and location, then Maple Manor Park & Ride is ideal. With prices from as little as just £4.50 per day, it is our cheapest car park. Maple Manor Park & Ride is surprisingly located just over one mile from the terminal so transfers take less than five minutes. The professional team take your keys and park your car for you making it a speedy and stress-free arrival. Stansted airport only has one terminal. That makes life a lot simpler when looking for your airport parking and certainly eliminates the chances of booking a parking spot at the wrong terminal. However, it’s worth bearing in mind that the airport sees more than 25 million passengers each year, therefore, it’s one busy place. That’s why we suggest booking your Stansted airport parking in advance, not only will it save you money, but it will save you time and more importantly, guarantee you a space. 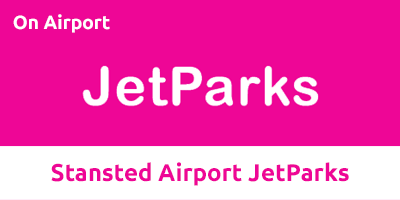 Our Stansted car parks are all located close to the terminal, the longest transfer is with Jetparks and is only 15 minutes. 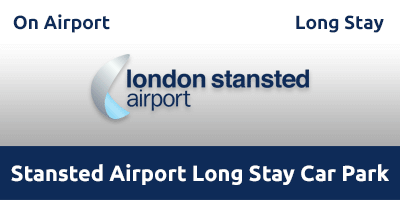 We have two car parks onsite near the terminal at Stansted airport, they are both Park & Ride services, The Official Long Stay is 10 minutes from the terminal and Jetparks is a 15 minute transfer. We want our parking options to be completely clear, so when you book, you know exactly what you’re getting. This guide will help understand the types of parking we have available at Stansted. On-airport car parks are located within the airport grounds, they give the reassurance of being closer to the terminal and are easy to find because you can head straight to the airport and follow signs when you get there. Car parks located within the airport grounds can sometimes cost slightly more because you have the peace-of-mind of on-site security. Transfers: If the car park is within walking distance, you simply park up and make your way to check-in. However, don’t be fooled into thinking all car parks located on-site are within walking distance. Most car-parks that are on-site still require a quick 5-10 minute bus ride. Official Long-Stay - Transfer time: 10 minute bus. Jetparks - Transfer time: 15 minute bus. Off-airport car parks at Stansted are exactly that, off-airport. They are located outside of the airport perimeter and are operated by reputable parking operators. It’s common for people to think that transfers will be longer because of the distance, however this isn’t the case at Stansted because our off-site car parks are located just outside of the airport perimeter. Off-site car parks can often offer the cheapest prices. Transfers: The transfers provided by off-site car parks are by shuttle buses. Our car parks at Stansted are so close to the airport that the transfers for these particular parking options are closer than those onsite at just 3 - 5 minutes. 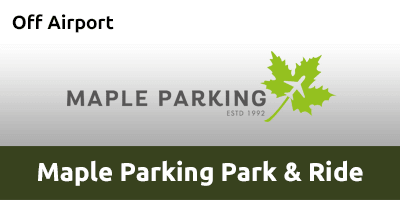 Maple Manor Park & Ride - Transfer time: 3 minute bus. I Love Park and Ride - Transfer time: 5 minute bus. 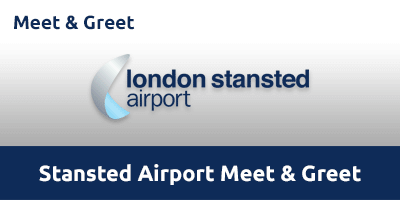 Official parking at Stansted are the car parks located within the airport grounds, operated by the airport themselves. You’d be forgiven for thinking these car parks can be costly, however when you book in advance with APH, they can be one of the cheapest Stansted car park options. They come with the reassurance that your car is kept within the airport perimeter. Transfers: This depends on the parking type you have booked. The Long Stay car park has a 10 minute shuttle bus. 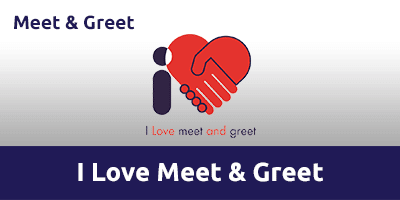 The Official Meet & Greet is just a 5 minute walk from check-in. Official Meet & Greet - Transfer time: 5 minute walk. Stansted Meet and Greet, or Valet parking is a popular choice with our customers. It offers a fast and efficient way of arriving to the airport. 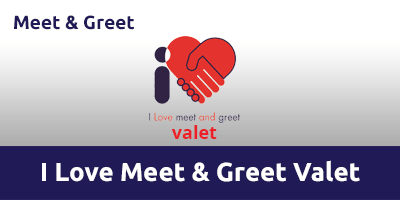 There are many reasons people choose to opt for Meet & Greet; they could be on a tight timescale, a family with young children, those travelling with disabled passengers, anybody with a lot of luggage, or simply because it is your preferred way to arrive at the airport. Transfers: Meet & Greet drop off points vary depending on who you have booked with. Many have drop-off points within the Stansted Short Stay car park whilst others allow you to pull up at the terminal forecourt where you will meet your driver. From either drop off points the walk is just 3-5 minutes to the check-in desks. I Love Meet & Greet - Transfer time: 3 minute walk. APH Meet & Greet - Transfer time: 2 minute walk. I Love Meet & Greet Valet - Transfer time: 2 minute walk. Maple Manor Meet & Greet - Transfer time: 2 minute walk. Short stay Stansted parking is always something our customers are querying. If you’re taking or collecting friends or family from Stansted airport, knowing where you can drop off and pick up is important. You don’t want to spend time driving round the busy airport nor do you want to pull up in the wrong place and incur a charge. You can also use the Mid-Stay Car park if you are staying a short period of time, there is a 5 minute transfer on the free shuttle. If for some reason you have been unable to book your airport parking in advance, there are limited spaces available in the Short Stay car park. These are the Orange and Green zones located in the Short Stay car park. The Mid Stay car park also has some availability, but again it is limited so booking in advance is recommended. Just when you thought APH couldn’t make your airport parking search any easier, we’ve come up trumps with Stansted hotels with parking packages. For those customers who need, or simply want, an overnight stay before or after their flight, our airport hotel and parking packages will save valuable time and money. There are many reasons why you should book your Stansted hotel and parking as a package. The first being price. It works out cheaper if you book your hotel room and parking space as one package. Secondly, it saves you time. APH have rallied around and found the best deals available. We have narrowed it down to 3 hotel and parking deals, these are the best on the market and will tick all of your boxes. And finally, by booking your hotel and parking with APH it means you have the reassurance of having all your booking details in one place. One email, one booking reference, and one port-of-call should you have any questions. The Novotel at Stansted is on-site at the airport. It is worth noting however that it still requires a transfer bus to get to the terminal. The transfer takes just 10 minutes. The Novotel is 4-star hotel and offers various dining options and complimentary WiFi in public areas. This hotel comes with 2 parking options: Hotel parking and I Love Park & Ride. Prices start from £94.25 for a room and one weeks' parking in December. The Holiday Inn Express may be outside of the airports perimeter but it is located just five minutes from the Stansted terminal. It’s a 3-star hotel and offers an on-site restaurant, lounge bar and comfortable, air-conditioned rooms. This hotel comes with 2 parking options: Hotel parking and I Love Park & Ride. Prices start from £99.00 for a room and one weeks' parking in December. The 3-star Ramada Hotel is just three miles from Stansted Airport so you can wake up knowing you’re close to the terminal. The hotel boasts contemporary rooms, complimentary WiFi, an on-site restaurant and a 24-hour bar. This hotel comes with 1 parking option: Jetparks Park & Ride. Transfers take 15 minutes. Prices start from £100.74 for a room and one weeks' parking in October.